For people who wonder what types of trees surround them in these green spaces, quick response codes will help. 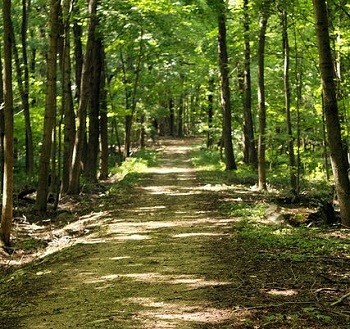 In Murrysville, Pennsylvania, it’s becoming easier to get to know the types of trees that share their clean air, shade and gorgeous green color, as QR codes are being added to these green spaces to identify the various species. Nature enthusiasts carrying smartphones will be able to scan the quick response codes for more information. The QR codes are being added to the signage by the Friends of Murrysville Parks. The barcode tags have been placed onto park signs so that visitors to the area can use their smartphones to scan the codes and inform themselves about the types of trees that can be found throughout the green spaces. A scan automatically directs a user to one of the webpages hosted by the municipality and that have been created to provide information about the different types of trees that can be found throughout the parks. At the start of the project, there are four QR codes being added to Duff Park, and five going into Townsend Park. This, however, will be only the start of the program. With the initial launch, the nine codes in the two parks will get things started. However, it looks as though this will be expanded into more codes and additional parks over time. Originally, the intention had been to build a gazebo with the municipality’s funds for Duff Park. However, the Friends of Murrysville Parks decided that it would be more appealing to launch a project that would provide tree identification. A couple of local students were brought in by the Friends as interns and they studied the existing signage. They researched the trees and decided that adding QRcode tags would be the easiest way to update the black locust wood sign posts that are already there, hardy and rot-resistant, but that would now be able to provide far more information when scanned by smartphones. The Friends are expecting that these QR codes will be receiving a considerable amount of use, particularly considering that Duff Park is likely the busiest of Murrysville’s eleven parks.